While the springs are arguably the most important parts of any garage door system, the opener isn't far behind. These complex electro-mechanical devices can suffer from a variety of issues, and they require an expert in order to return to a fully functional form. If your opener is making strange droning sounds but your door won't move, there could be a lot of different possible causes. However, one of the most common ones is a worn out motor gear. When that happens, your opener will be effectively running on "neutral", i.e. working but failing to produce any horsepower. Our technicians can replace the damaged gear for you and make sure the unit is completely fixed. Your opener's photo-electric "eyes", or safety sensors, as they are more commonly called, need to be positioned correctly in order to be able to detect an obstacle that's blocking the door's path. If these sensors become misaligned, your garage door won't be safe to use. These are delicate components, and they require a professional's touch. Our experts can realign your sensors and then test them to make sure they system properly reverses and does not hit anything that gets in its way. When it comes time to get one of these units installed, it's important that the procedure is performed by specialists. Otherwise, if the pulley system isn't positioned correctly, or if any other part is slightly unadjusted, your garage door could suffer from more frequent accidents, and you'll have to spend more money on repairs. Let our experts install the new opener for you. We can also help you choose the perfect model for your home. 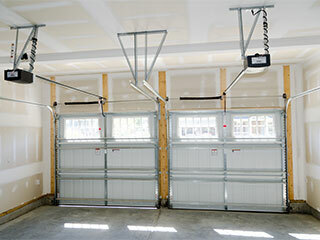 At Garage Door Repair Las Vegas, we know exactly what to do when something goes wrong with an opener unit. Regardless of what type of drive system is involved, or how complex the problem may be, you can count on our team to be able to solve it quickly and efficiently. Call us today.